Carl Robert Iadicola, is an Italo American singer(he began singing at the age of 15. his back ground was opera, He loved Enrique Caruso, Mario Lanza and speciality, Tony Bennett. ) know as Bobby Carle, born in Fall River, MA., Jan. 9th 1926. served in World War II. 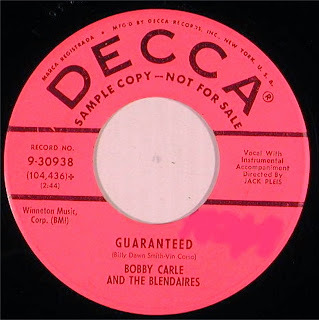 BOBBY CARLE & THE BLENDAIRES. -Walk With Me/Anytime Anyplace Anywhere. Decca Records-1958. (B Side was a local hit). -A Time To Love A Time To Die/I Couldn't Stand It. Decca Records-1958. -I Got It Bad And That Ain't Good/Guaranteed. 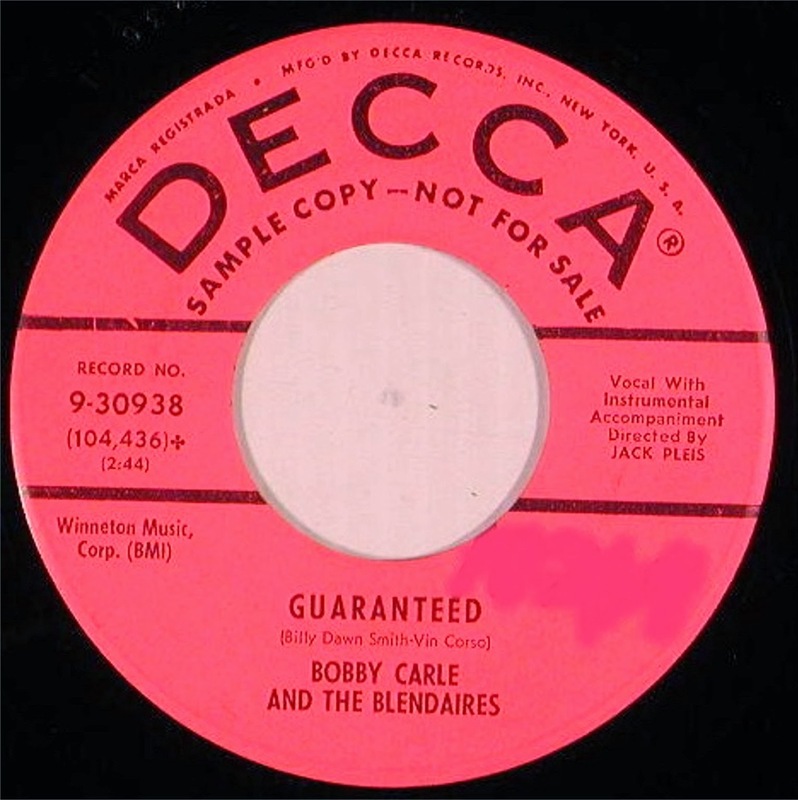 Decca Records-1959. 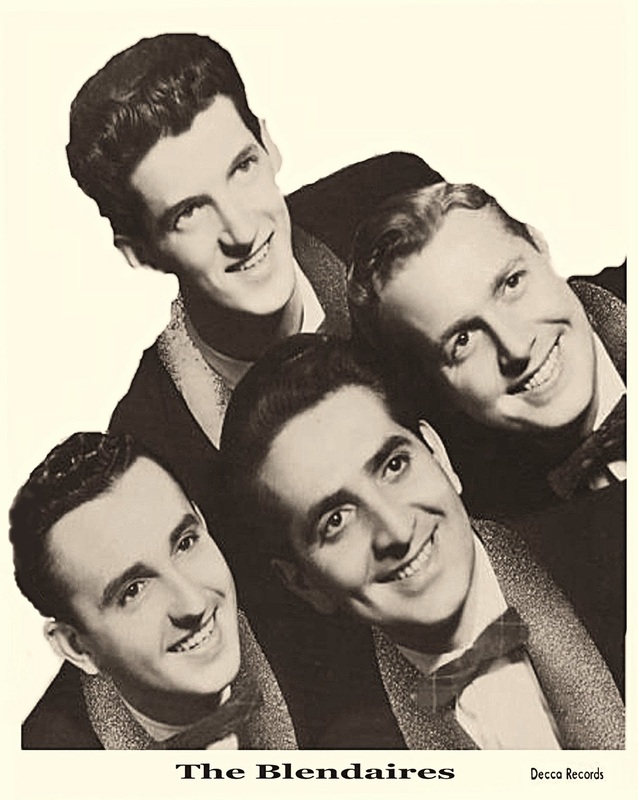 The group performed all over the United States and Canada.Carl passed a way in 1979 from heart failure at the age of 52. My mother was married to Teddy Rego from Fall River. 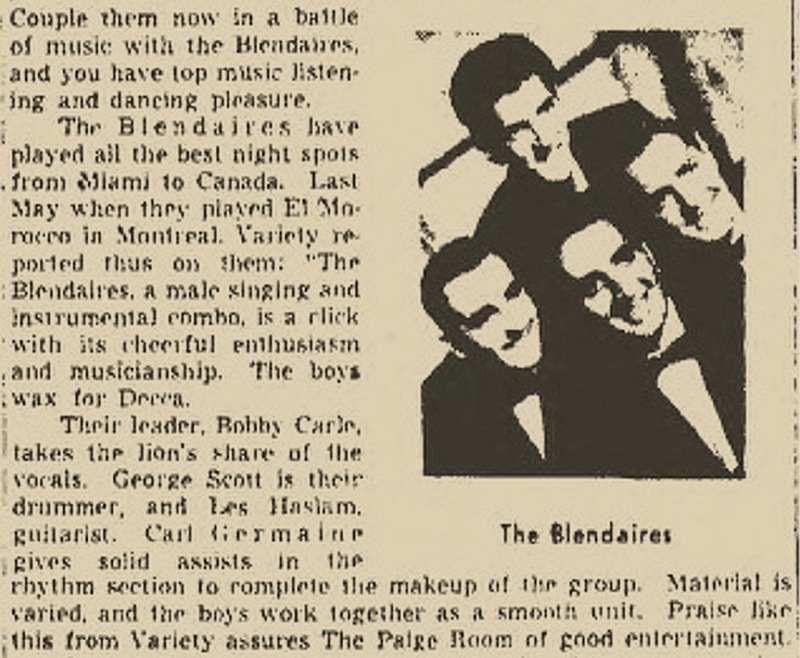 He was a trumpet player and drummer and a member of The Blazers, the backup group for Bobby Carle post 1960. Wondering why there is no mention of this iteration of Bobby Carle's ensemble here.